Joy Inn and Suites is located in the RIICO Industrial Area in Bhiwadi. The hotel offers various facilities like parking, in-house restaurant, conference room, banquet hall and a gym for the comfort of the guests. The property is also centrally air conditioned. 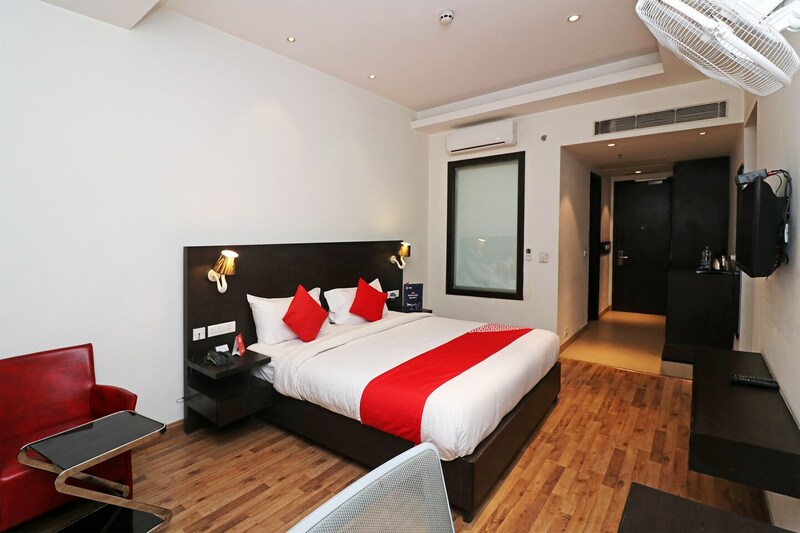 They also, offer various kinds of room categories to their guests to choose from like Suites, Non- Smoking room, family rooms and smoking rooms. All room have modern amenities like AC, flat screen television, mini fridge, seating area, wardrobe, study desk, electric kettle, attached washroom and reading lamps. Punjabi Junction, Kerala Coffee House, Dominos Pizza, BMB and Pind Balluchi are some if the eating joints around the hotel.